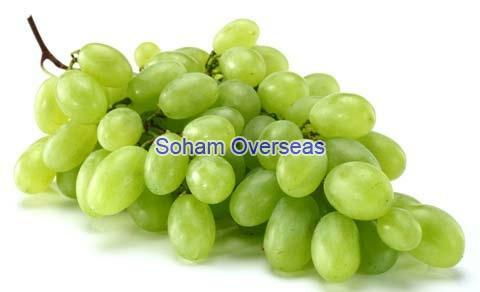 Headquartered in Rajkot in Gujarat, India, we offer premium quality Fresh Grapes. We specialize in Green Grapes and ensure that we offer you naturally ripened and firm fruits at attractive market rates. We offer this product which is carefully hand picked to ensure consistency in size and taste in bulk to food processing units, wine manufacturers and restaurants and hotels.